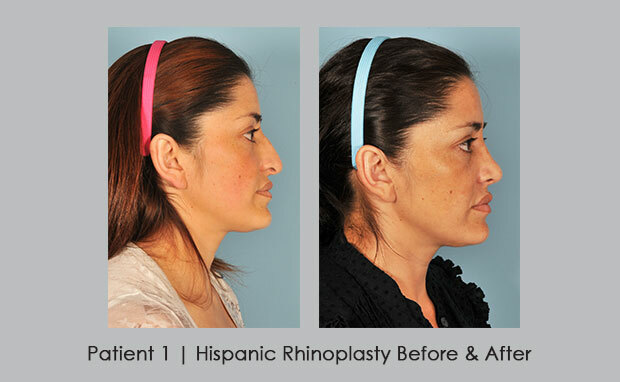 This is an Hispanic women whose nose tipped down giving her an aging facial appearance. 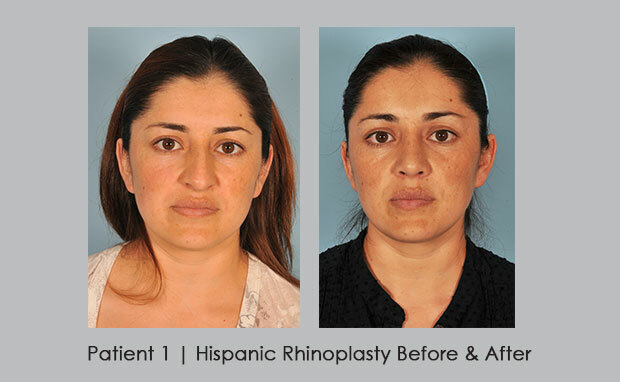 Correcting this by turning up the tip and slightly narrowing the tip gives her a much fresher and younger look. 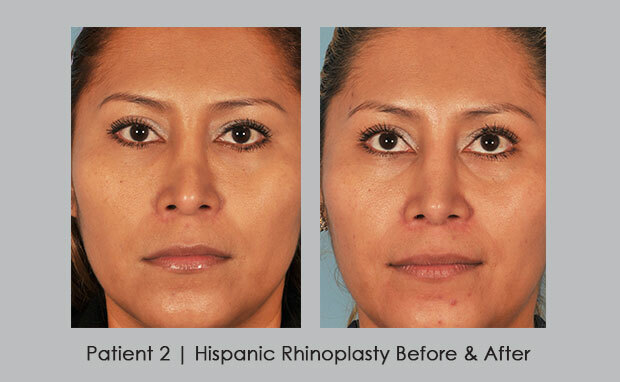 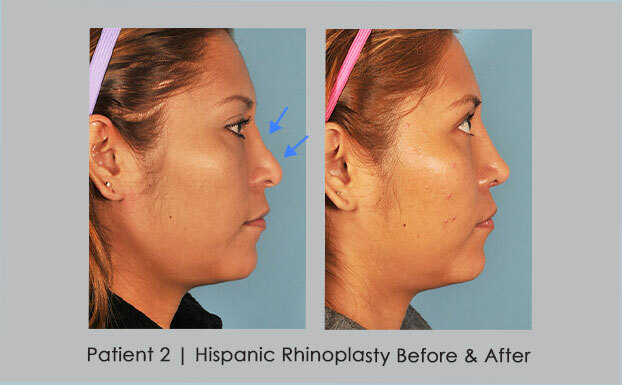 This Hispanic women had previous surgery and had a “saddle” and a suprtip “Poly Beak” deformity corrected with revision rhinoplasty by Dr. Silver.